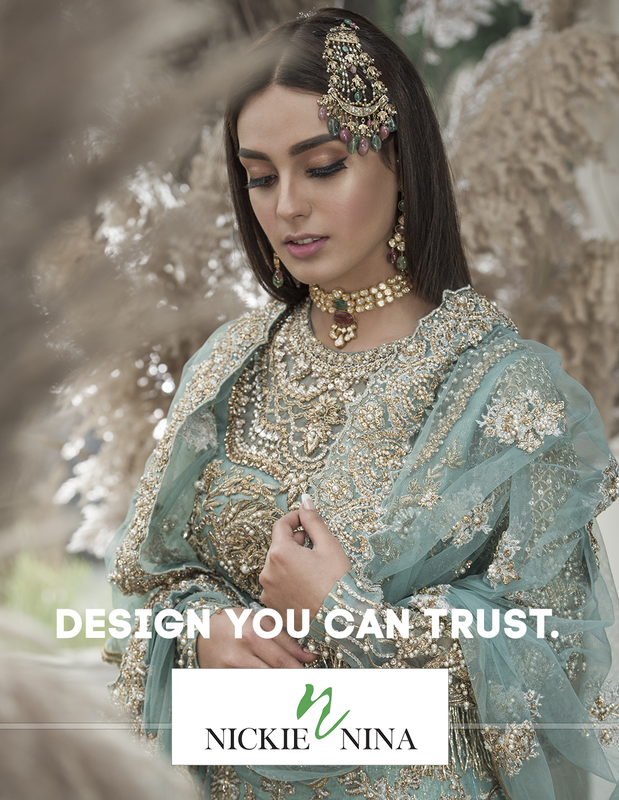 Kabeer Hussain , Founder and Creative Director of The Videographers walked the aisle with Anushay Mirza, this March 2019. The events were assiduously planned and relatively intimate including only family and close friends in the guest list. The radiant Dholki was hosted by Hina and Ajaz Rahim and Akbar and Aleena Naqvi Hussain . The newly weds kept it simple yet chic with Kabeer dressed in black and Anushay in a pearl embedded- fresh mustard green ensemble. The Duo appeared in an effortlessly coordinated wardrobe by Ali Xeeshan, the bride in a floor length ravishing yellow Lehnga and the groom in a Dabka encrusted Jacket on the Mehndi while playing it safe on the Barat in White and Red respectively. This enchanting wedding affair came to an end with Anushay dressed in a sheer pink Saree and Kabeer in a gray suit, Surrounded by loved ones present entirely to celebrate their nuptials and to wish them a happy and blessed life ahead.